I’ve just finished reading a great book with an even greater title. 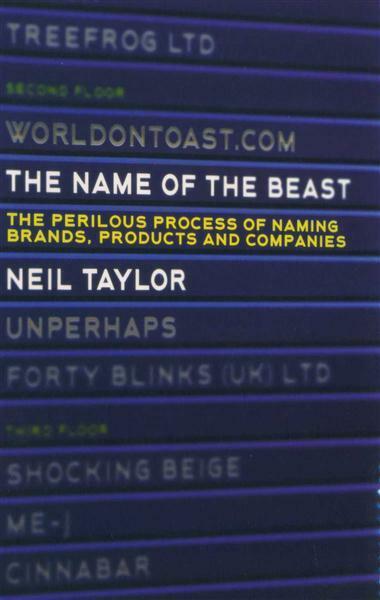 The Name of the Beast by professional ‘namer’ Neil Taylor, is a guide to the ‘Perilous process of naming, brands, products and companies’. You can tell Neil is slightly scarred from his years as a senior naming consultant at Interbrand where he discovered (much like for graphic designers), everyone is an expert. And some are very cynical about the role of professional namers such as Neil. “There are people, enviable yet contemptible, who make good livings inventing names for companies. And people often have strong emotional bonds to brands they have grown up with, and are now being ‘messed about with’. Neil give a classic example of name failure, when Royal Mail changed to Consignia in 2000. He prints three pages of hostile comments from the time, which culminated in an embarrassing ‘volt-face’ just 15 months later. 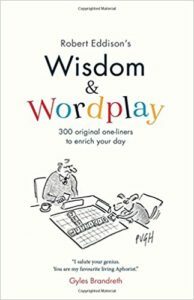 For me, the most useful part of the book is chapter 3 where he covers the different approaches to naming. By using the Ronseal approach, ‘they do exactly what they say on the tin’, see the history of the famous phrase. Obvious examples would be pretty much anything that starts with British (think Airways, Gas, Petroleum, Telecom etc). Sadly these names are often too good to be true, and cause problems when you go international, or change what you do over time. Neil uses one of my favourite examples, The Carphone Warehouse. This name accurately described the brick sized phones sold in warehouse outlets when they were starting out. But today they sell sleek smartphones is smart high-street shops. I wonder if the chairman Charles Dunstone called a meeting one day to come up with a new name. But someone pointed out they had left it too late, and anyway the business was doing just fine with the original name. The positive brand values had been absorbed into the name, and risked being thrown away with a new name. So although descriptive names save you having to explain what the company does, they have almost all already been taken, and even if not, can risk being too descriptive to allow you to register a trademark. 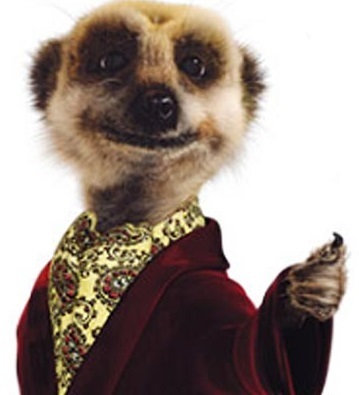 For instance, Compare the Market and We Buy Any Car have been refused a trademark, but Compare the Meerkat and Webuyanycar.com were allowed. 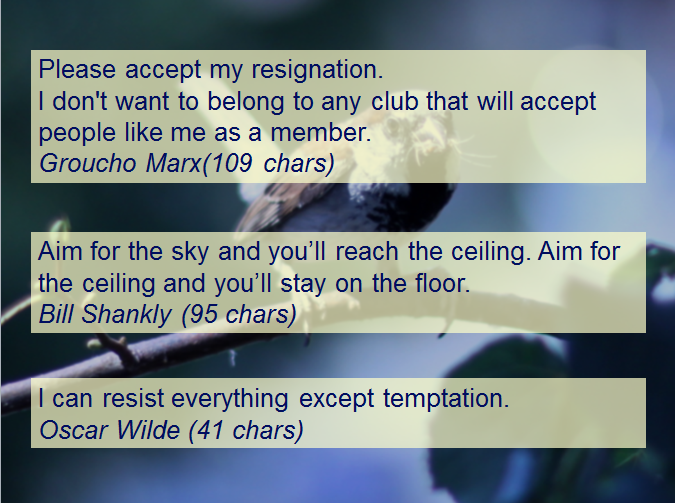 Moving on from literally descriptive names, image-based names work by association using metaphors. Neil gives the examples of Visa (the shopping equivalent of a passport) and Viagra (think life and Niagra). If successful this approach can give a brand a personality which can appeal to customers. Some of the most powerful brands on the planet use abstract and in some cases, made up words. Apple is currently the most profitable business in history. George Eastman used Kodak because he thought k’s were cool, so why not have one at the beginning and end of his brand name? Citroen did something similar until relatively recently when they ‘owned’ the letter X. Starting out with CX, BX and XM and then moving onto more creative names such as Xsara and Xantia. The best thing about a made up name is that it can’t already be registered as a trademark to someone else, although you do still have to be careful it isn’t similar to a word that is in use. These are abstract names, but derive from a place or person. 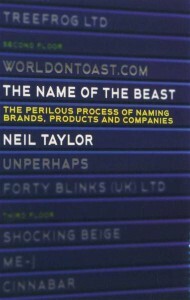 In fact, nearly half of the world’s top 100 brands use family names. Examples would be McDonald’s, Ford, Cadbury, Kellogg’s and Dyson. After spending many pages explaining the options for naming and going into detail about how to brain-storm for names, Neil give some examples of names that break the rules. For example, I can’t believe it’s not butter, is about as far away from a short and simple brand name as you can get, even though it does sort of explain what the product is. He uses the example of U2 who have a ‘rubbish’ name but global success, whereas Half Man – Half Biscuit have brilliant one, but are long forgotten except by a few faithful fans. 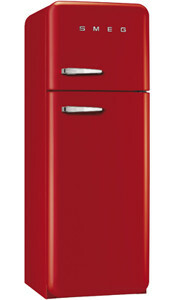 Or how about Smeg fridges? Surely no one would by a brand whose name is associated with “a substance that collects inside male genitalia”. But thanks to their bright colours and trendy retro design they have become very popular indeed. I am glad to see that Neil spends a bit of time talking about trade marks, even if it is in a rather short chapter titled The long arm of the law. He points out how trade marks trump company or domain names, which means they need to be checked first. The famous cases of Apple Corps vs Apple Computer is covered, and Budweiser US vs Budweiser Czech lager beers. He explains how a name can exist in different classes of business activity using Polo as an example – a VW car, a mint with a hole, and expensive clothing. As long as the consumer is not confused about what and who they are buying from, there is no problem. Neil is definitely not a fan of trade mark lawyers, but does admit they can help you work out the risk of choosing a particular name. It all comes down to predicting how the owners of similar names with react. How likely are they to send you a ‘cease and desist’ letter from their lawyers? So you don’t have to like a name, or understand what it means for it to be successful. As long as it is legal, available and memorable you should be ok. If Cillit Bang can become a household name, surely anything goes. 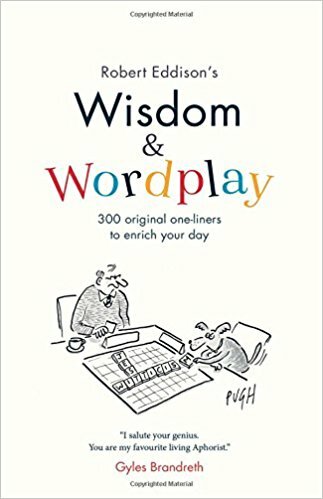 This entry was posted in Advertising, book review, creatives, IP issues, language, Trademarks and tagged branding, naming on 11 May 2015 by ninfield. In January we ran a competition to find designers and makers who have used the Library to develop their ideas, the prize was a day selling their products at our at our Spring Market on Monday 4 March 2013. The winners of the competition also get training in running a market stall, free business advice through the Business & IP Centre, as well as marketing support from the Library. I bought some great presents at last years Spring Market so am really looking forward to this one. Ali’s handmade and UK produced homewares have a traditional, nostalgic feel with a twist of British quirkiness. Her vintage inspired work has been featured in the BBC’s Sherlock Holmes series as well as in notable publications such as Elle, Financial Times and The Telegraph. Ali has attended the Library’s ‘Make it, Sell it’ event and used our Business & IP Centre for research. Using her training as a scientific and natural history illustrator, Abigail Lingford creates bags, home wares, clothing and shoes inspired by her love of science. She was shortlisted for the BBC wildlife artist of the year in 2012 and has been featured in Time Out and The Guardian. She is inspired by our exhibitions, including ‘Out of This World’ on science fiction. She is also a user of our Business & IP Centre which helps her to commercialise her work. 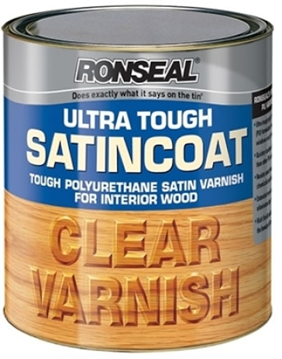 Upcycling has become increasingly popular in recent years. 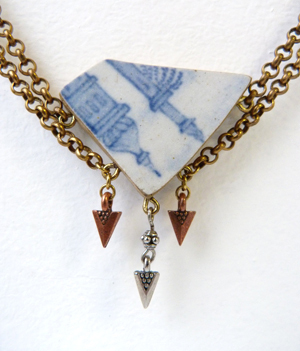 Boodi Blu’s Sarah Marafie has utilised this to create beautiful bespoke pieces of china and porcelain jewellery. The china she uses has been found buried or washed up on river banks, building an historical story to the jewellery. Sarah has used our Business & IP Centre to better understand intellectual property, copyright and to attend our ‘Knowing your Market’ workshop. A professional artist, Euan has applied his ink and watercolour drawings of London landmarks to items such as greeting cards, mugs, t-shirts and prints. Euan was featured in the Sunday Times and his card designs are now sold in Fortnum and Mason. 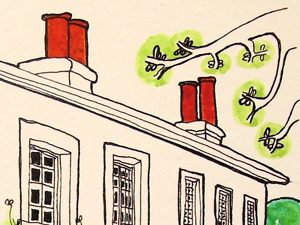 The Library’s building has influenced his work – watch out for the British Library print! Josie is an illustrator and designer who is inspired by storytelling and has a passion for fusing hand-made and digital approaches. Josie’s success is growing; she has recently sold her work with Topshop and ASOS. Josie attended our ‘Make it, Sell it’ event and has enjoyed our exhibitions such as ‘Mughal India: Art, Culture and Empire’. Swedish graphic designer Lisa Edoff creates beautiful products inspired by folk tales, nature, pop culture and the surrounding environment. She was directly approached by notonthehighstreet.com to become a partner and her products have been recommended by The Independent Magazine. Lisa has used our Business & IP Centre to attend our ‘Beginner’s guide to IP’ workshop, get one-to-one business advice and to network with other makers. 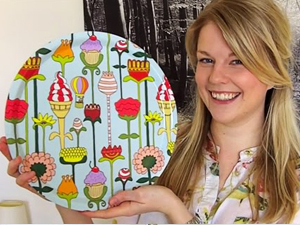 Lucy Porter has been creating gifts, cards, jewellery and homewares since 2011, all of which are influenced by her love of illustration and the British outdoors. 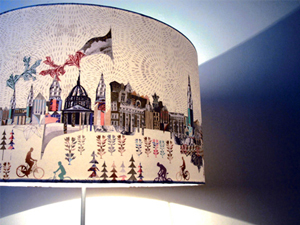 Lucy was Runner up in the New Design Britain Awards in January 2012 as well as an exhibitor at MADE 12. Lucy has used the Library’s Business & IP Centre to research intellectual property and to create her business plan as well as researching British wildlife in our wider collections. 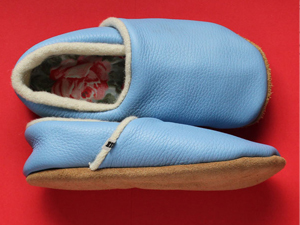 Environmentally friendly Motties, are cosy and stylish slippers handmade from recycled leather materials. Alexa Mottram, the designer and creator of Motties, donates £1 from every sale to the homeless charity Emmaus. Alexa has received notable press coverage from The Independent, The Daily Telegraph and The Guardian. Her focus is on ethical fashion and she used the Library’s collection to research her MSc in Sustainable Architecture and Energy Studies, which has influenced her design work. Talented Californian turned Londoner, Johnette Taylor produces high quality leather goods such as purses, iPad cases and bicycle accessories. Her hand crafted accessories are made to last as well as being designed for functionality and attractiveness. In 2010, Johnette won a start up grant from the Prince’s Trust, and is currently a finalist in the Brand Amplify competition. She attended our creative and fashion meet-ups and training sessions on copyright and registered designs. Alia Qadir designs and makes a range of luxurious printed t-shirts for women. Her emphasis on Englishness is central to the brand and can be seen through her use of the English language on the t-shirts as well as manufacturing her line solely in the UK. Alia has used the Library’s Business & IP Centre to do market research and has attended a trends workshop with our partner Insider Trends. Wonderhaus is an urban jewellery brand created by Julia Roy Williams. Julia gathers inspiration from urban environments, looking at architecture, music and other sub cultures and transforms this into beautiful jewellery made from materials such as bronze, leather, perspex and rubber. Julia’s jewellery has been recommended by The Sunday Times and Grazia as well as being seen on celebrities such as Erin O’Connor. Julia has been inspired by our exhibitions, including ‘Magnificent Maps’, our online gallery of images and our St Pancras flagship building. This entry was posted in British Library, business startups, creative industries, creatives, fashion, growing business, marketing, retail on 11 February 2013 by ninfield. Could you be our new Jewellery Designer in Residence? We have had our wonderful Inventor in Residence Mark Sheahan pretty much since we opened in 2006, and he has personally helped over 400 inventors. More recently we have had our Entrepreneur in Residence Stephen Fear. And now we are looking for a Jewellery Designer in Residence. Together with Artquest we have just announced a new research residency for a mid-career London-based jeweller with at least five years’ practice. This paid opportunity will help a designer take their work in a new direction, be inspired by the Library’s collections and gain business support. A bursary of £3,000 to develop (and potentially commercialise) a new body of work using material from the British Library collections. Access to British Library collections and curators. Access to business and intellectual property advice in the Library’s Business & IP Centre, which helps people to set up, run and grow their own business. Marketing support in relation to their activity undertaken on the residency. The deadline for applications is Monday 9 July 2012. Maybe you could be the next Tatty Devine? You can also contact Frances Taylor if you want to be involved in this, or our other projects targeting the library’s creative audiences. This entry was posted in British Library, creative industries, creatives, Design, marketing, retail, Success Stories and tagged creative industries on 11 May 2012 by ninfield. On Monday we had a presentation from James Newman and Iain Simons, co-authors of 100 Video Games, co-founders of Game City, and co-founders of the UK National Videogame Archive. And what an entertaining pair they made, switching seamlessly from slide to slide and from one to the other. They handled the great many enthusiastic interruptions from the very knowledgeable audience with patience and politeness. They were at the British Library to talk about why the archive was created in 2008 and progress it has made since then. In practice much of the talk was explaining why it is impossible to archive vidoe games, due to their very temporary nature. Even the plastic of the early consoles is starting to degrade, ending eventually in a pile of fine grey dust. With my background in computer science, I was expecting to hear about all the clever ways programmers are preserving the games so that they are playable on current hardware. They did talk about emulators and the good work fan programmers are doing, but ultimately their efforts are doomed to failure. It will never be possible to exactly replicate the way the games played back on cathode ray tube (CRT) screens and 16 bit processors. And even if you could, the cultural context will have been lost. Consequently they are concentrating on preserving the experience of game-playing rather than the games themselves. They do this by capturing live game playing at events like GameCity, and preserving written material relating to games such as Walkthroughs, also known as cheats. They ended their fascinating and stimulating presentation with a wonderfully rude example of the challenges of completing a Super Mario Brothers level. This has had an amazing 20 million views on YouTube, but comes with a health warning as it is fully of swearing in response to the frustrations of playing the game. As something of a failed gamer, it certainly make me laugh. This entry was posted in British Library, creatives, Digitisation, gadgets, humour, technology on 30 March 2012 by ninfield. Another fantastic event this evening with a range of inspiring women entrepreneurs and their stories. The event was chaired with great warmth, energy and humour by Emma Jones who launched her first business at age 27, and successfully sold it two years later. In 2006 she launched Enterprise Nation as a website to help anyone start and grow a business from home. The company has since expanded to offer online services, publications, events and finance to small businesses across the UK. Emma is also co-founder of StartUp Britain, and currently acting as the campaign’s chief executive. 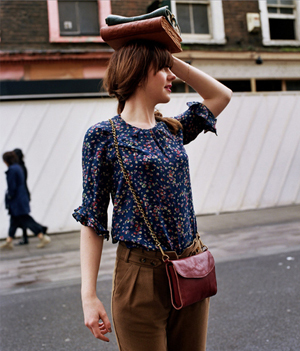 As co-founder of shopping website notonthehighstreet.com, Sophie Cornish has won many prestigious awards including the ECMOD Direct Commerce Award for the last three consecutive years and the Online Retail Award Prix D’or 2010. They now host over 2,500 businesses on notonthehighstreet selling 40,000 different products. They came to the British Library Business & IP Centre early on to look at trends in Internet retailing. And worked hard on their business plan to the extent that they new their numbers inside out. Sohpie emphasised that creating a brand is the key challenge for any business. From helping her parents prepare samosas for the English pub they ran, to setting up her own food business The Authentic Food Company in 1985, Kamal Basran indulged her passion for cooking authentic Indian food and opened a small business supplying local catering establishments with hand-made samosas and other Indian snack food. Today, the company has over 240 employees and has a turnover of over £31 million. The company are supplying many of the UK’s top hotels, pub chains, restaurants and retail outlets with the range of quality international cuisine. When Kamal started out in business, she was a full-time teacher, settled in a comfortable lifestyle, married with two children. While out shopping she saw some ready made samosas, but once home discovered they tasted horrible and threw them into the dustbin. This was the trigger for starting her own business. She had no idea how to start, but wonders in retrospect if this is perhaps the best way. She began making 600 samosas a week, and grew the business to over a million meals a week. Number one priority was to organise her children. Then, learn how to do everything yourself (nothing is too menial). Rosie Wolfenden and Harriet Vine are the founders of Tatty Devine whose distinctive fashion designs have made them brand leaders. In 2011 they had a boom year, with a £1 million turnover and kick started 2012 with opening a Selfridges pop up shop which launched their new silver label. 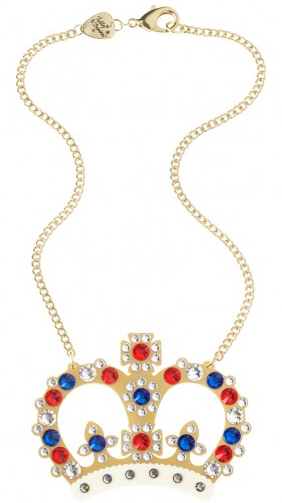 The two London Tatty Devine boutiques are located in Brick Lane and Covent Garden. They are independently run and design every piece, 99% of the jewellery is made by hand in their workshops (based in London and Kent). Their custom-made jewellery has been worn by everyone from Claudia Schiffer to Jessie J. They are very proud of producing their own book on How to Make Jewellery. In the last two years they have started letting others in to their business, such as developing a new website, to enable them to concentrate on the jewellery. Christina Richardson is founder of The Nurture Network the UK’s first on-demand marketing department for start-ups and entrepreneurial growth businesses. Christina has spent much of her career managing and growing FMCG brands worth in excess of £100 million. Now she and her blue-chip trained team, work flexibly across multiple businesses – being their marketing expertise, part time or for specific projects – calling in creative specialists from their network as and when they are needed. You need to give yourself the strongest foundations you can. Be distinctly different by playing a different game. Define your brand by being clear on your ‘onlyness’. Think about who your brand would be if it were a person. Test your brand out with real people. Have a vision, but with numbers. Know the future you want to create. Marketing is everything that touches your consumer. Always think consumer first. Choose which group will be your most valuable customers. This will inform your marketing chooses. Plan with the end in mind and be objectives driven. The evening closed with a lively question and answer session followed by some serious networking until closing time. This entry was posted in Advertising, British Library, business plans, business startups, creatives, customer service, entrepreneurship, Inspiring Entrepreneurs, market research, marketing, retail, Success Stories on 19 March 2012 by ninfield. 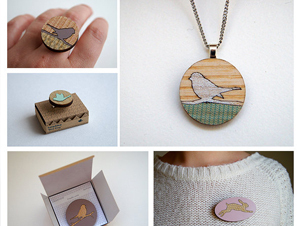 In January I blogged about our Spring Market competition for designers and makers. From the 80+ applicants, the 12 lucky winners got the chance to set up shop in the British Library Piazza last Thursday. This was all part of our Spring Festival week of events which ran from 1 to 5 March, as a five day celebration of fashion, design and creativity. Highlights included the Spring Market, ‘Make it, Sell it’ speed mentoring sessions, talks from Quentin Blake and Jamie Hewlett (Gorillaz), a pop-up exhibition, Vintage Knitting and a pecha-lecture with Neville Brody. I have to admit I was a bit worried about the Spring Market as we have had some very mixed weather recently (it is cold and wet as I write this), so we were very fortunate to have a warm sunny day for the market. I popped down to have a look and say hello, and ended up buying some of the wonderful items on display. The first stall I visited was Cole of London founded by Sarah Cole. Sarah designs colourful mugs that are a contemporary take on age old themes. 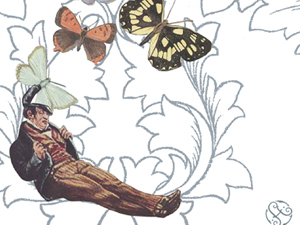 Featuring figures from history and illustrations. 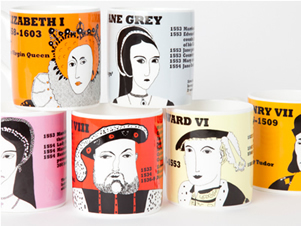 Her mugs feature English monarchs, great writers and the wives of Henry VIII. She has used the Business & IP Centre to learn about copyright and research the ceramics market. Next was SquidLondon, who I have mentioned before (SquidLondon brighten up a rainy autumn day). 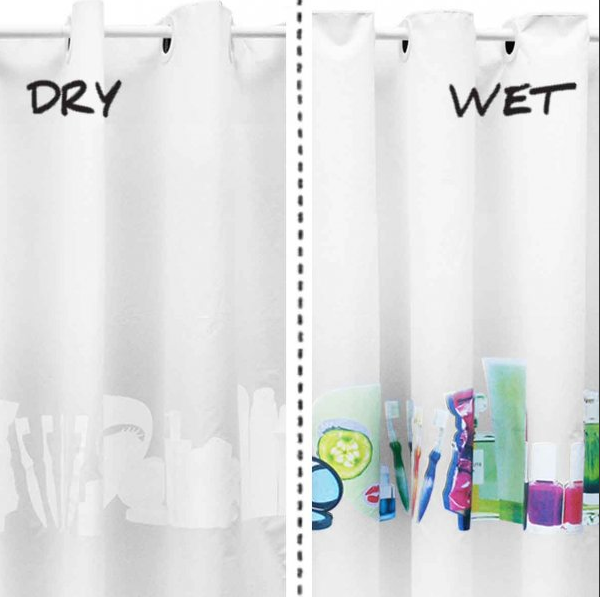 Rather than go for one of their best-selling line of colour changing umbrellas, I plumped for a ‘Miss Squidolette’ Shower Curtain which comes to colourful life each time the shower is turned on. 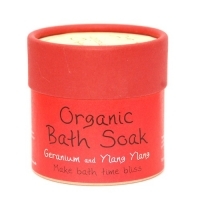 It makes a great gift for anyone with young children who might be reluctant to ‘get wet’. Next came Ruby Red Cosmetics founded by Martine Burford who is passionate about ethical cosmetics, and her skincare range contains no synthetic chemicals, fragrances or dyes, and has not been tested on animals. She makes all her products locally in London and they are beautifully packaged . The idea for Ruby Red grew and grew during the 18 months sabbatical Mike and Martine took in 2005. We had given up our high flying jobs to travel around South East Asia and spent a lot of that time with the locals, discovering effective natural apothecary remedies for keeping skin looking healthy and glowing. The happy ‘punters’ at the fair, seemed to be a mix of British Library staff (showing what good taste they have for innovative products), and visitors to the library who got a nice surprise on their way in to do their research. All the stall holders I spoke to said they were getting a lot of interest, and sales, so I am hoping this might be first of many such events at the Library. 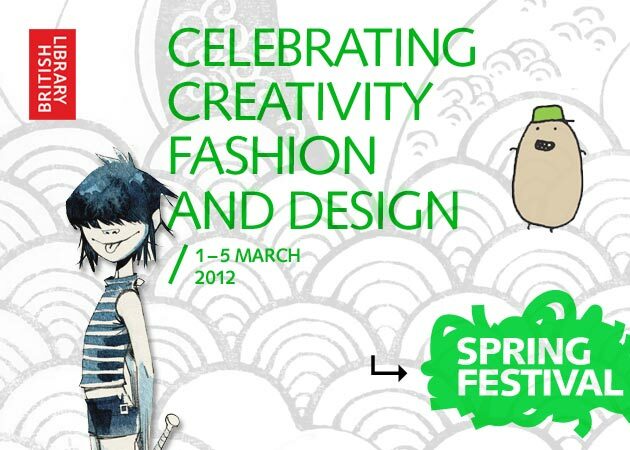 Congratulations to Fran Taylor our Marketing Manager for Creative industries, for masterminding the Spring Festival. We were also lucky to have Buzz Films present during the week and posting several excellent short clips onto Vimeo. This entry was posted in Advertising, British Library, creatives, Design, entrepreneurship, marketing, Success Stories on 7 March 2012 by ninfield.